Tees for your team or group - buy as few as 24 at one low price! Available in youth and adult sizes in a variety of colors. 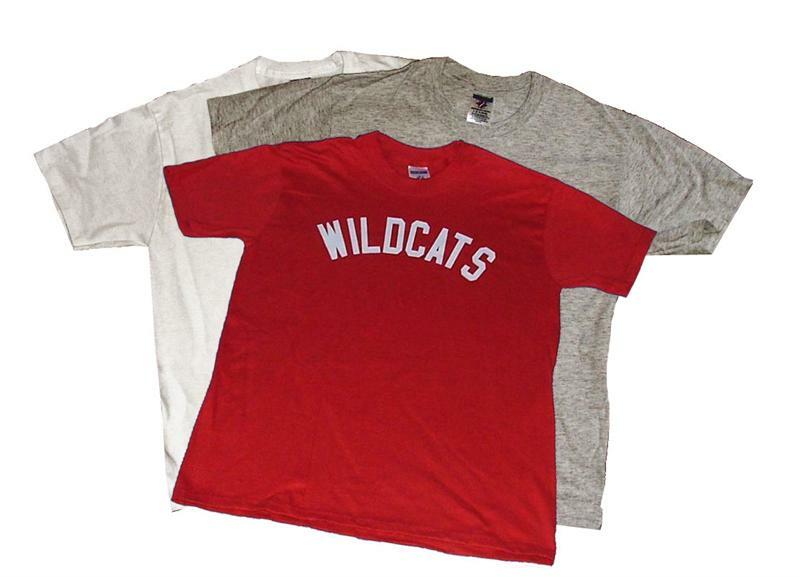 Base price includes basic 1 color group name on front of white tee. 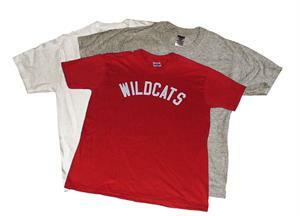 Quantity discount available on base price of white tees - see below. Upgrades will be added to adjusted base price. Price will adjust as you add upgrades to tees & as you enter total quantity. Scroll to top to see additions. 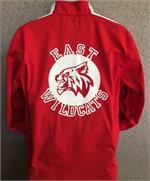 High School Musical Red Wildcats Jacket has huge wildcat logo on the back. Add pants & baseball shirt for a complete look! Also called High School Musical Warm-ups or tracksuit.